An intro to competitive obedience. 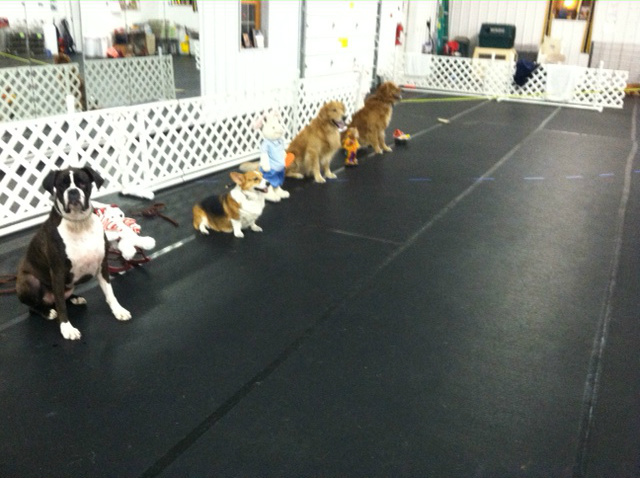 Focus on basic skills of attention, heeling, stays, stands, recalls, fronts and finishes. 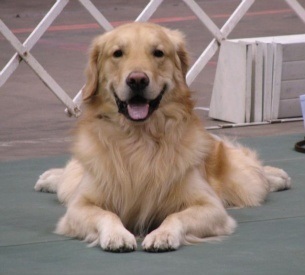 The more advanced dogs in this class will also work on skills needed to enter the AKC Beginner Novice and Novice classes. Class is ongoing. Novice and Grad Novice skills will be taught and proofed in this class. The goal is to prepare students to compete at these levels. Heeling, stand, recall, front/finishes and stay will be covered. Intro into the use of the dumbbell and jumping will also be taught as students move into the Grad Novice levels. By invitation only. Students will be shown how to get the utmost effort and attitude from their higher level competitive canine partner. Main focus will be on preparing both team members to successfully compete in Open and Utility and beyond. The various skills necessary to show in the Open and Utility will be taught. Skills include, go-outs, directed jumping, scent articles, heeling off leash, signals, moving stand for exam and directed retrieve. Each exercise is broken down into small components so the handler and dog can develop the necessary skills. Proofing is also provided as well as ring preparation. This class is ongoing.